Buffet breakfast for 2 guests. 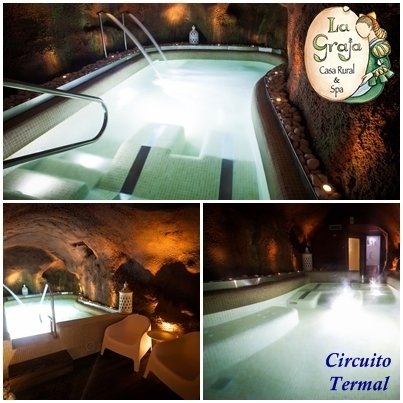 60-minute thermal circuit access for 2 guests. Time and date must be arranged in advanced. Check with the establishment for bookings exceeding 2 guests or days. 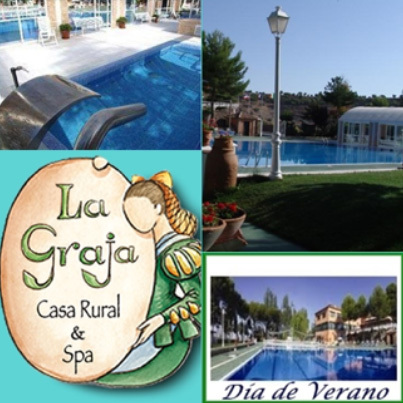 Sunday through Thursdays: 15% discount on tourist package rates. This offer is not valid with other promotions from the establishment. Not Easter, Christmas, August or days before holidays. Tasting menu dinner for 2 people at a restaurant in Chinchón. 60-minute thermal circuit access at the establishment. 30-minute relaxing massage per person. 2 nights in double room. Tasting menu dinner for 2 people at “La Casa del Pregonero” restaurant. Lunch for 2 people at “Quiñones” Restaurant. 1-day pool ticket for 2 people. Check with the establishment for more than 2 people or days. Opening dates: from June, 4th to September, 30th, approximately. 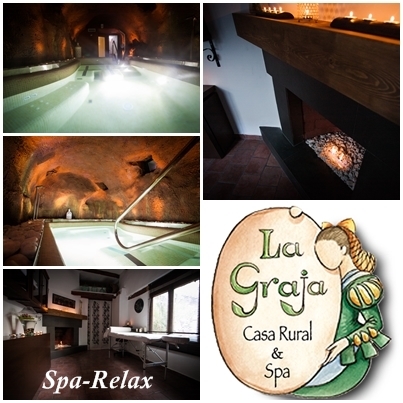 Accommodation at Country House & Spa “La Graja”. You pick any other services. Customize your experience at your convenience. You will receive description and bundled price. Send us confirmation and do not waste time to start enjoying. 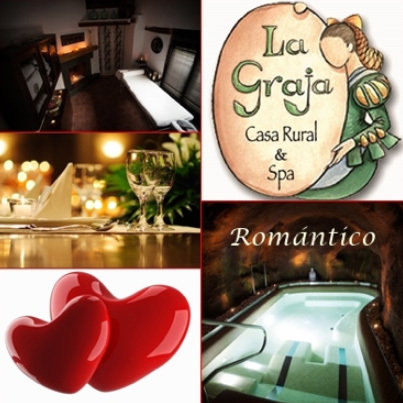 Each package includes one room for one night and two people. The coupon for the package must be handed at the front desk on the day of your entry. Photocopies of the coupon are not accepted as valid reservation proof. Once you have purchased the ‘Gift Pack’, refunds will not be accepted. 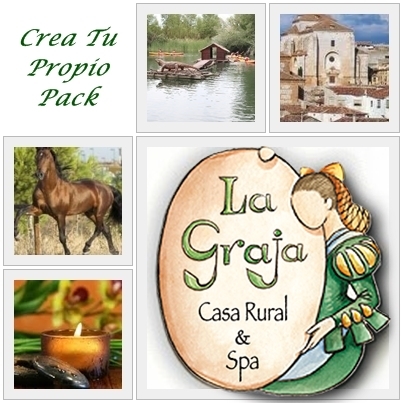 You must have a reservation to be able to enjoy the selected pack. This is subject to availability. Once you have booked your dates, you will not be able to cancel. You have a year to enjoy your package since the purchase date. It’s important to consider that some of the offers are season packages. The ‘Gift Pack’ doesn’t include transportation to the location of the activity. The client will not be entitled to a refund in case of expiration, lose, theft or damage of the coupon. If for reasons beyond the company’s control the experience of the package has to be modified, there is a compromise to provide an experience similar to the original one. The packages are subject to the general conditions of the establishment. 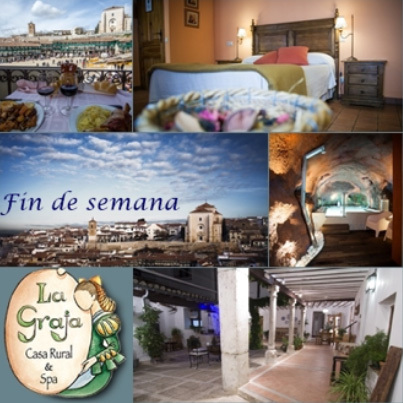 For any further information please contact us at the number (+34) 687317866 or the email address info@lagraja.com.